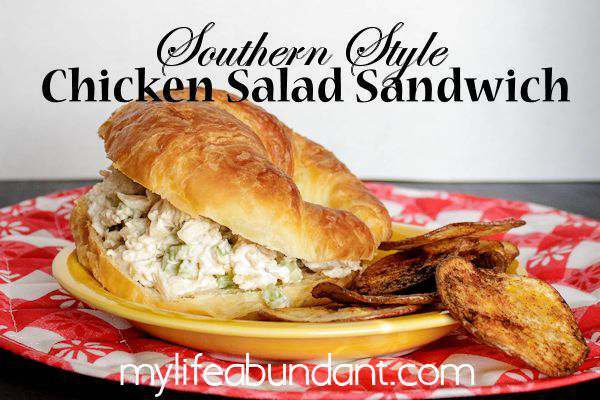 There is nothing better than a cold chicken salad sandwich southern style when its hot outside. It’s easy to make your own. One of the joys, if you want to call it that, of summertime is it gives me an excuse to not cook as much and heat up the kitchen. And in the south, you have many more hot days than cold. I love eating cool salads and sandwiches and being able to open the fridge and use what I made a batch of. One of my favorite sandwiches to make for summertime is a classic Southern Chicken Salad Sandwich. I usually have diced chicken in my freezer by using my crock pot method or if I’m short on that I will just boil a couple of breasts in water and let completely cool before dicing them up in small pieces. I have found that using cooked chicken either by boiling or using a crock pot works best and please, nothing from a can. I also make my hard boiled eggs in the Instant Pot in advance and keep in the fridge until needed. Here is how I make those in only 6 minutes. If I’m having a small gathering, I usually serve this recipe on small croissants for great finger food and something light. But any type of bread is great with this salad. A great recipe to take to the beach or on a picnic. Just remember to keep your chicken salad on ice and keep chilled. Never leave mayonnaise out in the hot sun. Combine all ingredients and serve with your favorite bread. Keep refrigerated until use. You can also use lite mayo and it tastes just as good. I have also used dill pickle relish. 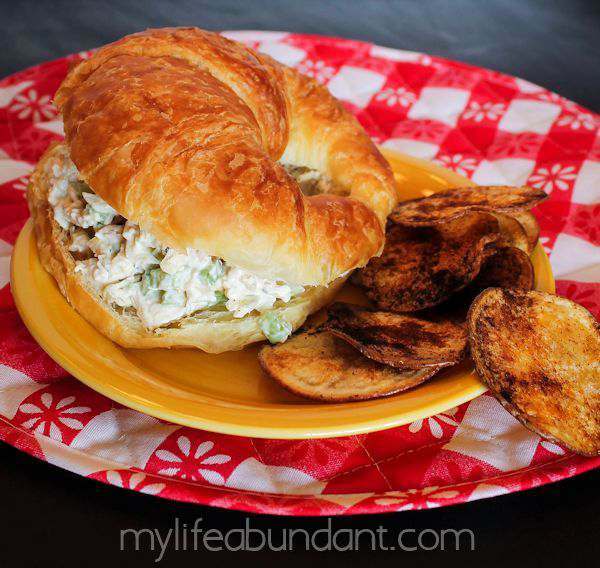 Using the mini croissants is such a fabulous idea for this sandwich! I’m definitely going to try this the next time I’m entertaining. Sounds delish! Sometimes when I am taking salads on a picnic, I will replace the mayo with cream cheese. Still have to keep it cold, but I feel safer with an eggless product! Tammy What is the amp amp amp listed after the salt is listed in the chicken salad recede? Thanks for the recipe! HI Lynn. I had the & symbol and that sometimes messes with HTML coding. It should’ve just said salt and pepper. Thanks for letting me know.